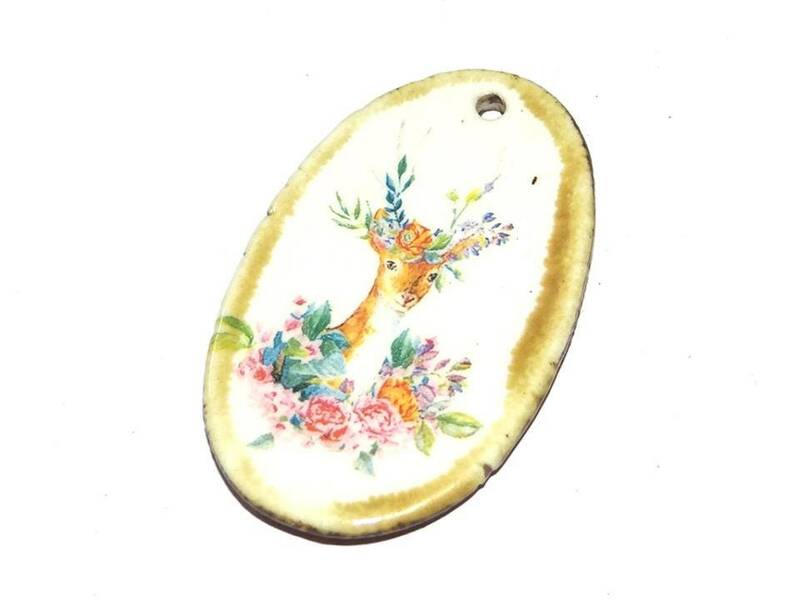 Porcelain pendant. Approx 50mm. 1.5mm hole. The back is glazed dark brown.